Wow! I’ve just realized that it’s been three weeks since my last post. I’m sorry to keep y’all out of the loop, but honestly, there hasn’t been much looping going on around here lately. What can I say? The winter doldrums have had me in their vise-like grip the past few weeks, and my productivity has definitely suffered. I’m so happy to finally have some things to share with you! I finished my January Dream Club on January 31, with hours to spare…. I started my February Dream Club this weekend, and I’m almost finished with it already…. 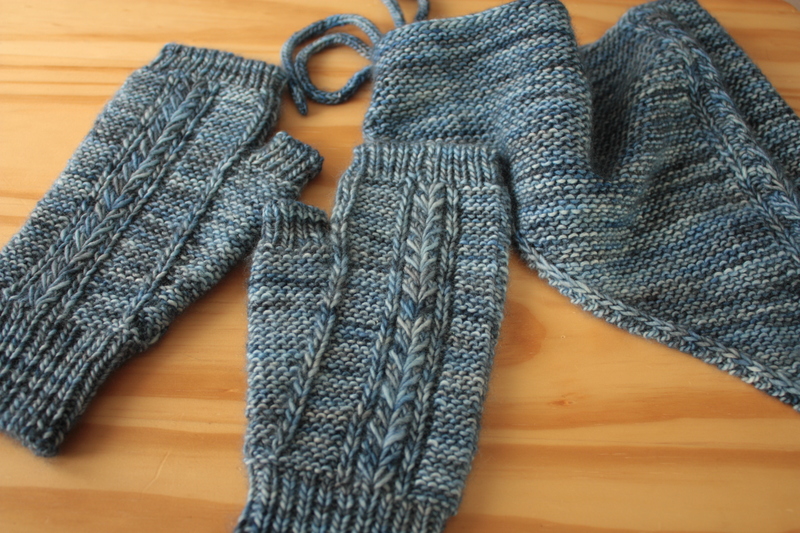 The pattern is Pleasant Pheasant, and the yarn is Classy with Cashmere. 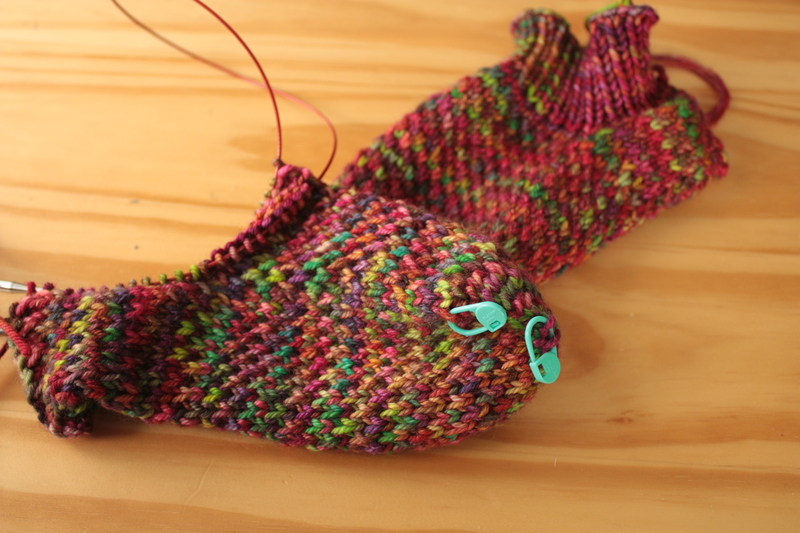 I made my slippers about an inch shorter than my feet, since the pattern warns that this yarn grows when blocked. I sincerely hope so; if not, I may have to seek out a recipient with bound feet. 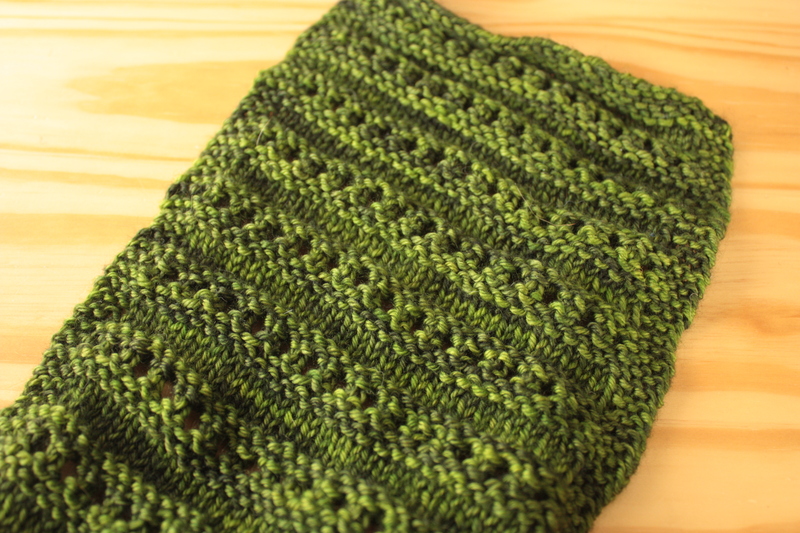 Moving right along, I’ve been working on the third scarf for my second scarf series…. This one will be called Wyre, and the yarn is Dream in Color Classy. The e-book will be entitled Classic Scarves II: The Orkneys Collection; my goal is to have it published within the next couple of weeks. Stay tuned! Last but not least, I fear the Noro virus has taken a firm hold on me…. 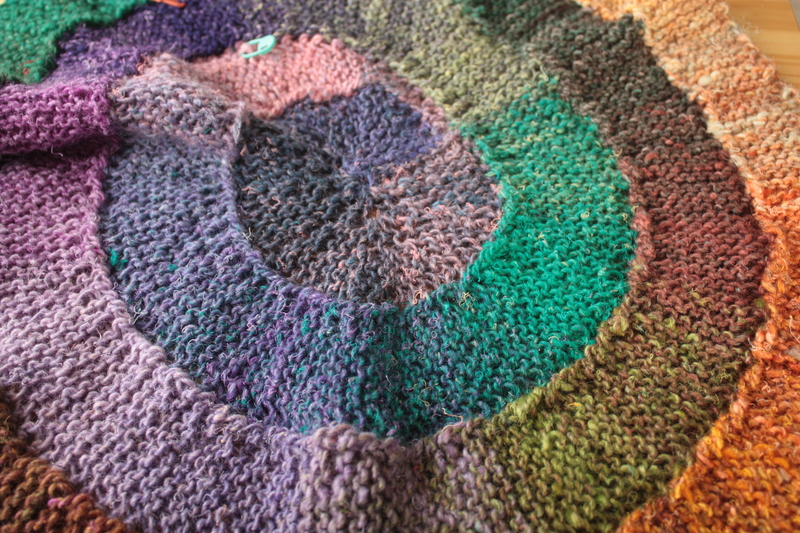 This is Ten Stitch Twist, in the lovely Noro Silk Garden. One of my students introduced me to the pattern, and I’m not sure if I’ll ever forgive her for it. It’s so simple and addictive that I have trouble working on it just a little bit at a time. Whenever I pick it up, I usually end up knitting at least half a ball of yarn! (Although, I suppose that’s a good problem to have.) I haven’t yet decided how large I’m going to make it, but I’m thinking I’ll probably stop once it’s enough for a lap throw of decent proportions. Well, now you know all about my current knitting escapades. Here’s looking forward to Spring!